Yoshifumi Masunaga is a full professor of the Department of Information Science of the Faculty of Science at Ochanomizu University, Tokyo, Japan. 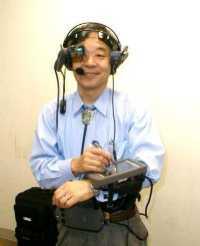 He graduated the Doctor Course of Engineering in Electrical Communication at Tohoku University, Japan in 1970. Dr. Masunaga was a research member of the Computer Science Department of the International Institute for Applied Systems Analysis (IIASA), Laxenburg, Austria from 1975 to 1977. He was also a visiting scientist of the Computer Science Department of IBM San Jose Research Laboratory, San Jose, USA from 1982 to 1983, where he belonged to System R Project. Prof. Masunaga has been served as Chair of the Special Interest Group on Database Systems of the Information Processing Society of Japan (IPSJ SIGDBS) and Chair of the Japan Chapter of the ACM Special Interest Group on Database Systems (ACM SIGMOD Japan). He was an Orbiter of the Board of the Directors of IPSJ. He was a founder of the Database Society of Japan (DBSJ), and is currently the President of DBSJ. He is currently the Chair of the Steering Committee of DASFAA. Prof. Masunaga has been served as an Area Editor of the ACM Transactions on Database Systems (ACM TODS). He has also been served as an Editor of the IPSJ Transactions on Databases (IPSJ TOD). He has published extensively in technical journals and conferences in Japanese and English. He has also authored texts on Relational Databases, which are widely used in Japanese universities. Prof. Masunaga is a member of ACM and IEEE Computer Society, and a fellow of IPSJ and the Institute of Electronics, Information, and Communication Engineers of Japan (IEICE). His current research interests include multimedia database systems, virtual world database systems, moving object database systems, wearable database systems, object-oriented database applications, and Web mining.